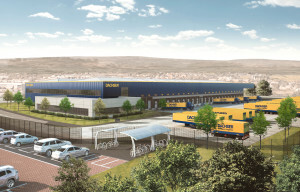 Dachser UK is part of the Dachser group, a major international logistics provider which on 31 December 2017 generated total sales worth EUR 6.12 billion. 29,100 staff working in 369 locations worldwide handled 81.7 million consignments comprising 39.8 million metric tonnes. Dachser has been established in the UK since 1975, and now has four locations which include a new logistics centre in Northampton as well as branch offices in Rochdale, Dartford and Bristol.